Johanna Wise Sullivan is a partner in Nutter's Private Client Department. She advises individuals and families in all aspects of estate planning, and estate and trust administration. Johanna’s estate planning practice ranges from preparing straightforward estate plans for young families to developing complex plans for business owners, executives, and other high net worth individuals that incorporate sophisticated strategies to minimize estate and gift taxes, preserve assets, and transfer wealth to the next generation. In addition, Johanna negotiates and drafts prenuptial agreements. Johanna represents fiduciaries and beneficiaries in connection with the administration of estates and trusts. She advises personal representatives and family members concerning post-mortem estate and tax planning, the probate process, preparation of estate tax returns, and representation in estate tax audits. She counsels trustees and beneficiaries in connection with ongoing trust administration, including tax considerations and compliance with fiduciary obligations. Johanna also has experience resolving ambiguities and disputes involving trusts through proceedings in the Probate & Family Court and non-judicial settlement agreements. In addition, Johanna serves as personal representative and trustee for clients. Johanna assists private foundations with operation and compliance matters, such as the grantmaking and reporting processes, and advises clients on techniques for structuring charitable gifts. Johanna is a member of the Boston Estate Planning Council and the Essex County Estate Planning Council, and recently completed the Greater Boston Chamber of Commerce’s year-long Women’s Leadership Program. She serves on the board of the Center for Collaborative Education, a non-profit organization that promotes innovative models of schools and works to increase opportunities for all students. Before law school, Johanna taught English and Social Studies at the Nativity Preparatory School, a middle school in Jamaica Plain, Massachusetts, for low-income boys from the City of Boston. Prior to joining Nutter, Johanna served as a summer judicial intern for the Honorable Elizabeth Fahey of the Massachusetts Superior Court. In law school, she was managing editor for the Boston College Environmental Affairs Law Review, an intern for the Elder Project at the Boston College Legal Assistance Bureau, and a tutor to first-year law students through the Academic Support Program. 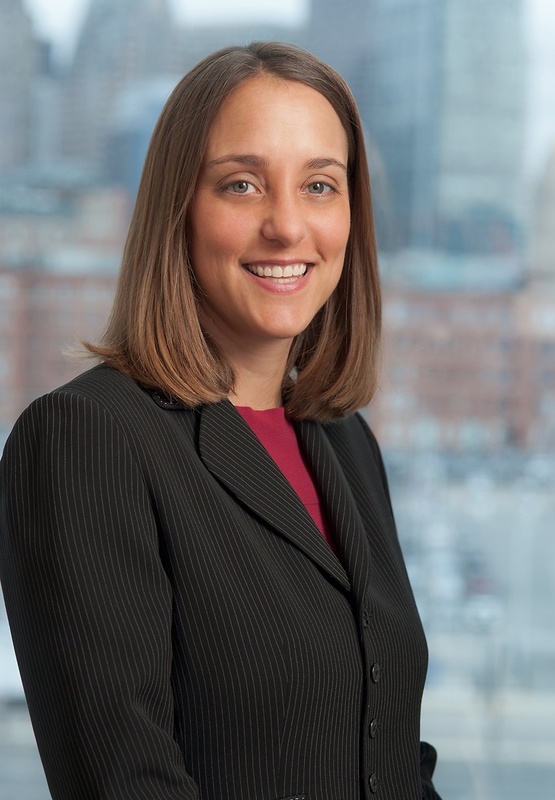 Johanna is a member of the Boston Estate Planning Council and the Essex County Estate Planning Council, and recently completed the Greater Boston Chamber of Commerce’s year-long Women’s Leadership Program.